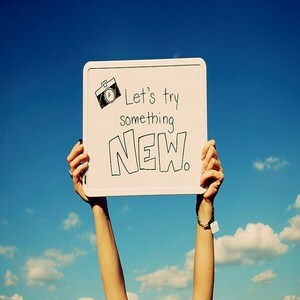 Isaiah 43:19 For I am about to do something new. After almost four years of more togetherness than any married couple has ever wished for, as expected, my Dear Hubby got official orders yesterday. He begins work as a MILDEP at the closest Army base to our house (Hooray for short commutes!) on October 15th. That’s right. After 196 weeks of looking at each other from opposite couches, we only have ONE MORE WEEK to turn all this together-time into quality-time. This opportunity to finish well is a BIG, HUGE, MIND-BOGGLING MIRACLE. It is absolute, indisputable evidence that God answers prayer and delivers the desires of our hearts. Walking into this new season is not simply a victory for our family. It is a victory for each and every one of you that has stood by us in prayer and held on to the faith and hope that God is who He says He is. We are humbled by each person who has faithfully walked this road with us. Compassion-weariness is a real thing. I know. There have been times when I’ve stepped away from relationships with people who’ve walked through extended painful seasons. Thank you for not growing compassion-weary!! Now we need new prayers. This new season is going to be a HUGE change for us. I stopped working in September of 2011 and the investigation began that December. Our family has lived in a little bubble where we see and communicate with each other ALL FLIPPIN’ DAY. Everything about the way we get through our day is about to drastically change. Please pray that the transition is peace-filled and grace-filled. And if you hear me one of us complaining, remind me us that this season, this opportunity to finish well, is an answer to prayer. Forgiveness is better than karma.